I don’t often get involved in social-media capers unless they are photography-based but I followed through with this one and really enjoyed it – it seemed like a very pleasing way to provide some much needed creative motivation to seven consecutive days and refreshed my looking and seeing faculties. Below are the seven images that I uploaded each day, with (now the challenge is over for me!) a little explanation and some thoughts and notes about the process. I’d assumed the brief meant that the photos should be taken each day, or at least during the week you’d been nominated to take part, and were to reflect what you were doing in that week, so I stuck with that. When I got halfway through the week I thought I’d find it useful to keep track of some of the images that i didn’t select for this challenge – photographs that might find their way to some potential project, so this is a slightly delayed shot at that – a sketchbook of ideas and possibilities. Below are photographs showing either my selection process or a few that didn’t make the final showing but that I enjoyed finding / making / taking. The selected image appears at the top of each day’s notes. It’s taken several months to clear out my mother-in-law’s bungalow in Hertfordshire after her death earlier in the year age 91. I was very fond of her (and my father-in-law) but her last years as a reclusive widow were lived in the shadow of acute anxiety – dreadful for her and a challenge for us. To achieve these empty rooms means we’ve reached a point from which we can hopefully move on ourselves, and begin to leave behind the long connection with the stifling bungalow settlement. Although the rejected image seems somehow more vacant – in all senses of the word, reflecting the atmosphere I was trying to convey – I selected the top image for its frosted door glass, the carpet (although the rejected image had its counterpart), the light fitting and polystyrene ceiling tiles, the ad hoc sockets; all details that represented a particular ‘approach to living’ of the recent inhabitants – more brittle than comfortable. Through the net curtain is the hinted presence of another bungalow, and in the corner you can just make out the dust-shadows of absent furniture and pictures. The reject image was taken on a mobile but the one I used was taken on a compact Canon camera and the 4:3 ratio allowed more of the room in the image space. 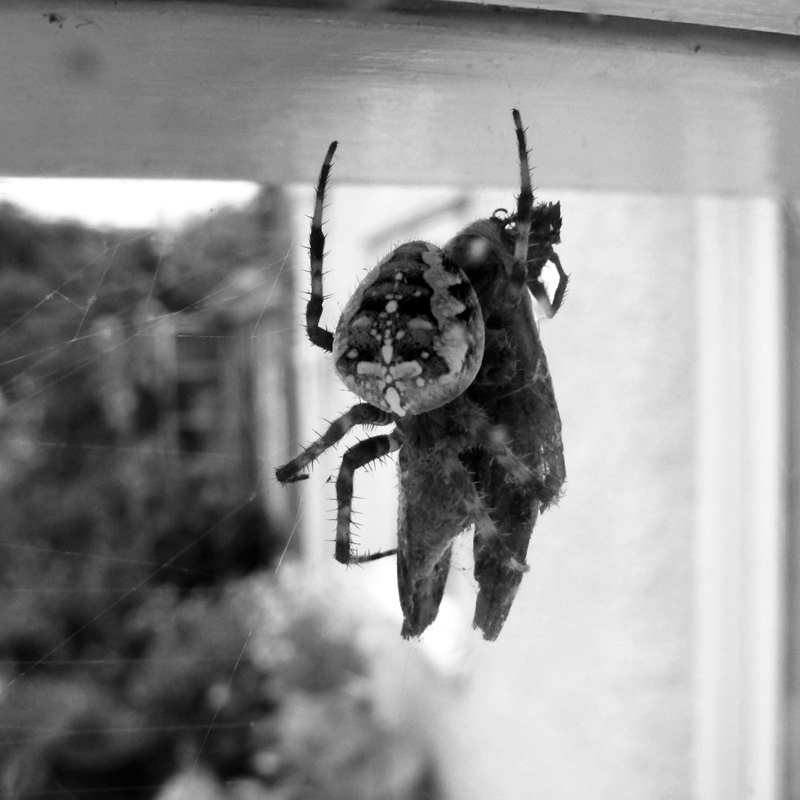 Fat Spider Devours Moth (a Large Yellow Underwing – one I had got to know a little as it was hanging around our back door next to this window for a few days at dusk – I should have warned it!). There were no alternatives to this image, I took it on the compact camera again which is good for close-ups, on the evening we got home from several days at the location of the first photo, and I was just feeling a little like this moth – having my life sucked out of me! Again, no alternative to this one, a lot of failed shots as I was using the camera on the mobile with its innate ‘indecisive moment’ feature! 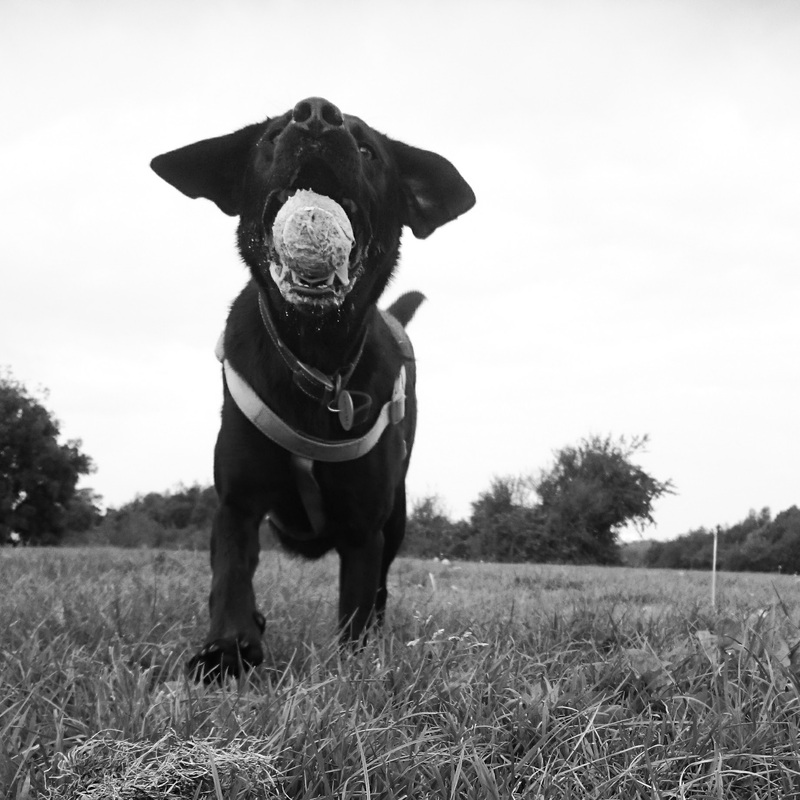 But the selected shot captures the boundless energy and copious drool of this lovely dog of our neighbours who we take for walks a couple of times a week. Boathouse, river, old Custom’s House, and cat; evening. Boathouse, river and old Custom’s House; morning. This was the day I decided to go for this sketchbook idea as there were several shots I could have chosen. The village I live in is on the tidal River Avon not far from where it joins the Severn and I walk around the river front area regularly, enjoying the wading birds at low tide, and the expansive water and occasional passing boats at high tide. I went out with SLR camera on the evening of day three to see the high spring tide and to look for some shots for this challenge. I found some new views of familiar territory – I often see things in a different way when I’m carrying a ‘serious’ camera – but it was getting quite dark and despite high ISO there wasn’t really enough light (or a stable enough hand) to get sharp images, so I came back the next morning to re-shoot some images. There’s so much to say about this place it will have to go into separate post one day but I narrowed my choices down to two pairs. The boathouse evening shot of the stacked dinghies with river and old Custom’s House behind had a rhythm and pleasing composition, including a nicely placed cat far right! But the image just wasn’t sharp enough and the light was a very flat. Although the cat had (unsurprisingly) gone the next morning the river was luminous in the sun through the slight haze on its surface and the shadows animated the scene. I liked this photograph but chose instead the ‘tidal defences’ shot in the opposite direction – less picturesque but it contains many of the essential elements that represent the past and define the village now – the river itself; the sides of the stacked skiffs are a reminder of the important role the river had in providing a living for the many seafaring inhabitants; the recent sea wall and flood gates now keep the water out of the village on the spring tides twice a month. In the distance a glimpse of a car transporter on the Avonmouth bridge speaks of the present-day industry in the nearby Portbury docks, hundreds of cars are unloaded from ships every week providing 21st century maritime jobs for some locals. 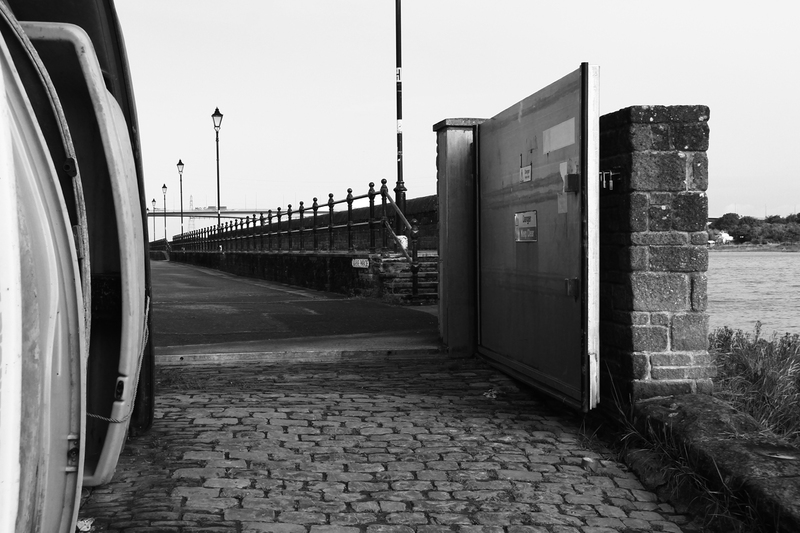 The M5, carried across the river bridge, is a major national transport artery, but usurped the Pill ferry to Shirehampton that had served the local population for many centuries. A yoga session in the old village school, now our community centre. I’m not as good with exercise as I should be but a weekly yoga session is part of my life, and this space is calm and quite photogenic when the sun shines on the old polished wooden floor and the lampshades suspended from the high ceiling look like well organised planets! No alternatives for this, it was the right day and a simple and pleasing shot on the mobile worked first time; a bit of tweaking to the shadows and brightening of the ‘planets’ using the impressive photo-editing app Snapseed on the phone, brought more depth to the picture. Our garden is a blessing. My partner keeps it lovely, I help a little but love it a lot and photograph it throughout the year – flowers, leaves, birds, pond, frogs and insects, so a garden photograph was essential to include in this challenge. 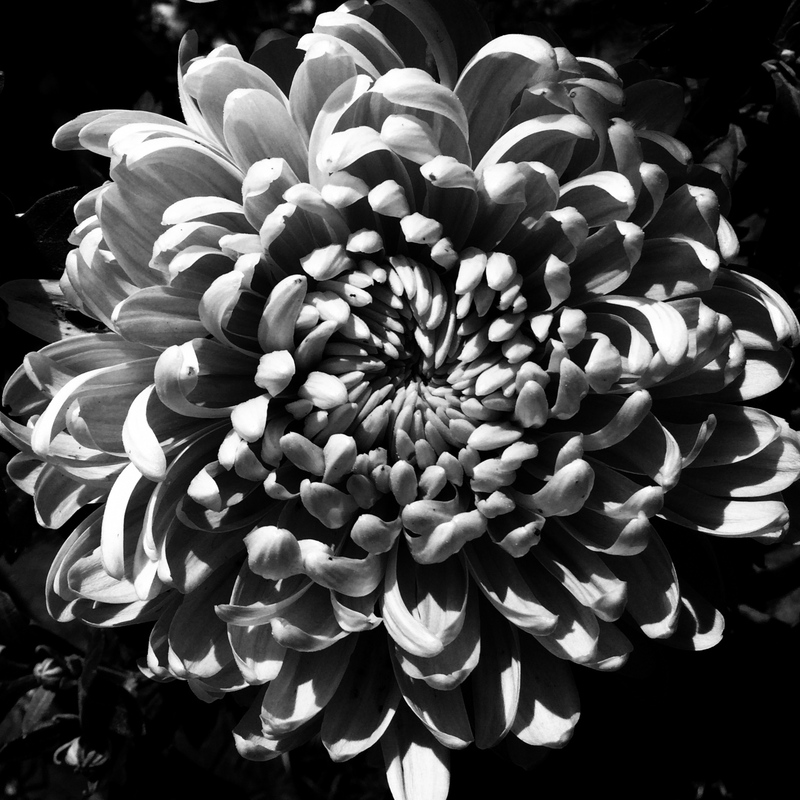 I did spend some time trying out close-ups with the iPad and the beautiful chrysanthemums we’d grown for the first time were a lovely subject – the structure of the petals was mesmerising. 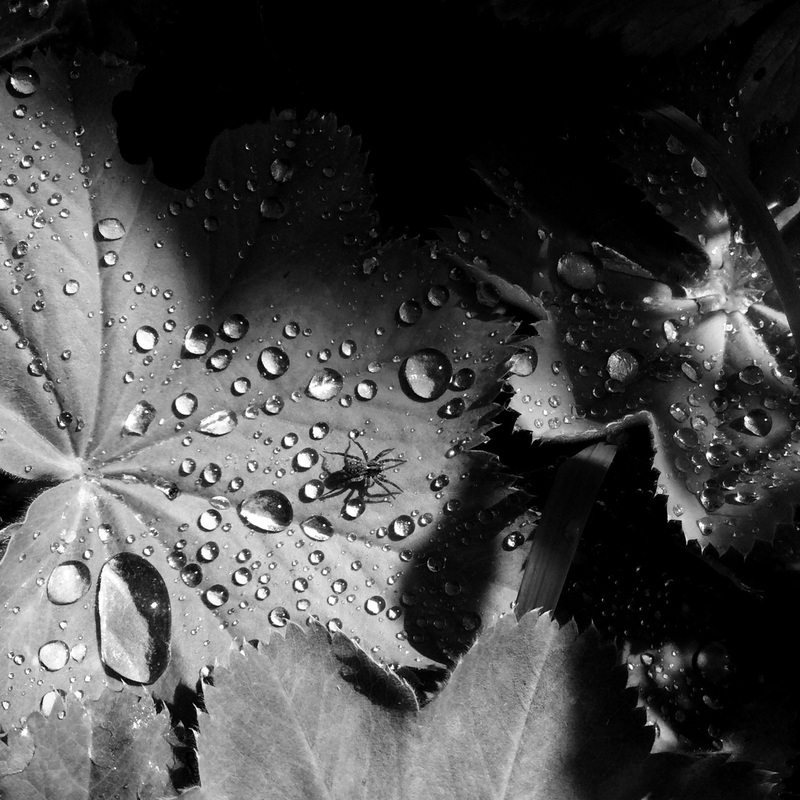 But the sunlight, and water droplets on the Lady’s Mantle with the passing spider and the shadows in the photo I did select just seemed sublime. Last image. 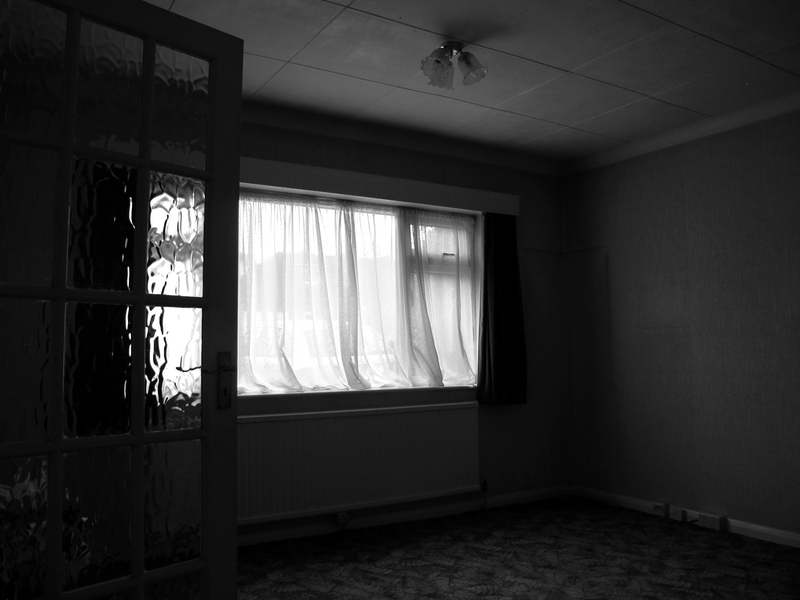 Most of the ideas for the other photographs had come quite readily but all I could think of for the last day was another uncomfortable image that was an echo of the first picture of the empty room. 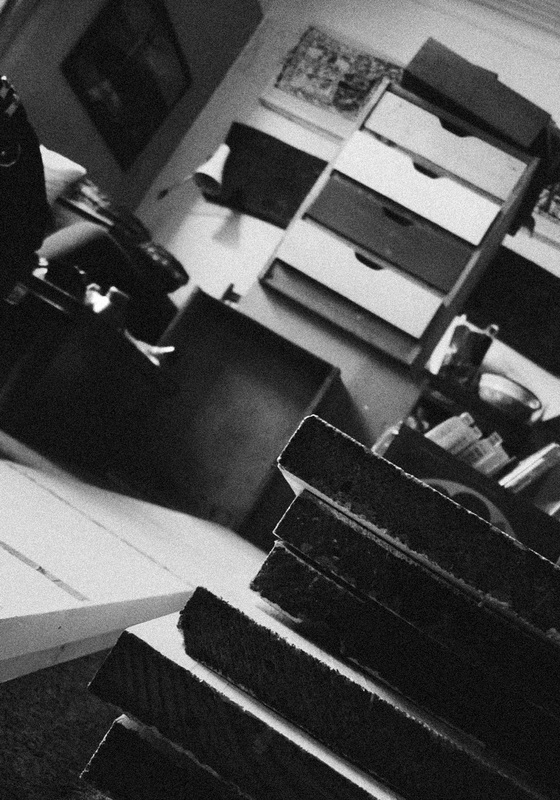 A fair amount of stuff from the bungalow has found its way into our house – hard to throw out some things it turns out….Our front room on that day was hard to get into and had been for a while and I was finding it a bit overwhelming. 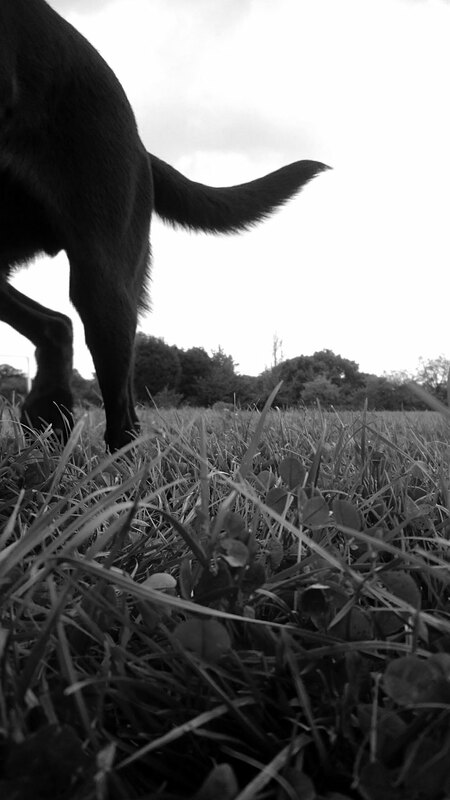 So I took some shots in an attempt to convey that. 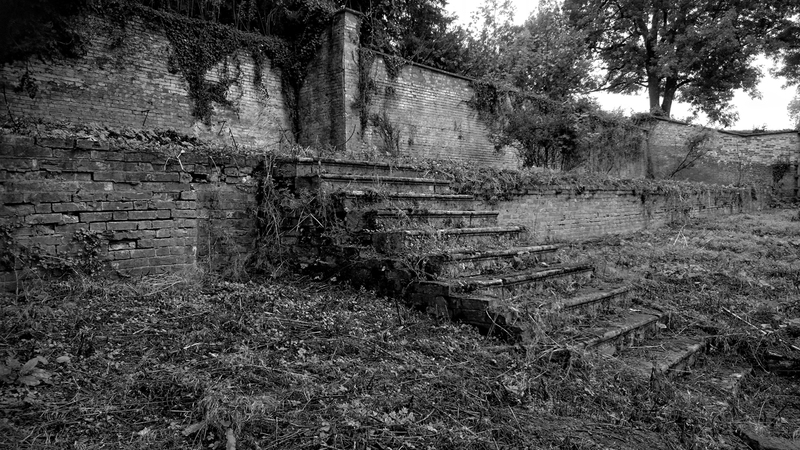 But a day out into the dank Somerset countryside saved me from domestic gloom; heading out for exploratory strolls in the landscapes and towns around where we live is a regular and really important feature of our lives, and much more pleasant than dwelling on de-cluttering and potential DIY, so when I found the overgrown steps leading to nothing much in a deserted walled garden at Fyne Court I wielded my mobile and was absolved of posting the above ‘millstone’! I’m a sucker for a romantic, mysterious scene and loved the contrast of the abandoned quality of this place with the once-formal arrangement of the elements in the frame. This entry was posted in Photo notes, Ways of looking. Bookmark the permalink.